Qualcomm executives called the new Asus Lyra Voice a model for routers going forward: partly a speaker, partly a router, and powered by Amazon’s Alexa assistant. The company said it’s trying to convince ISPs like Cox and Comcast to move in that direction. Unlike AMD and Intel, you can’t buy Qualcomm chips to build your own smartphones and routers. But when company executives take the stage at CES to describe how future products should look, it’s worth paying attention. Qualcomm announced three versions of its Smart Audio Platform—complete with a quad-core ARM A53 processor, audio DSP, 802.11ac Wi-Fi, Bluetooth, and 6-mic far-field audio processing—as the foundation for new smart speakers using Amazon’s Alexa, the Google Assistant, and Microsoft’s Cortana. They’ve all been qualified by the assistant manufacturers themselves, paving the way for more of the voice-enabled products that seem to be taking CES by storm. 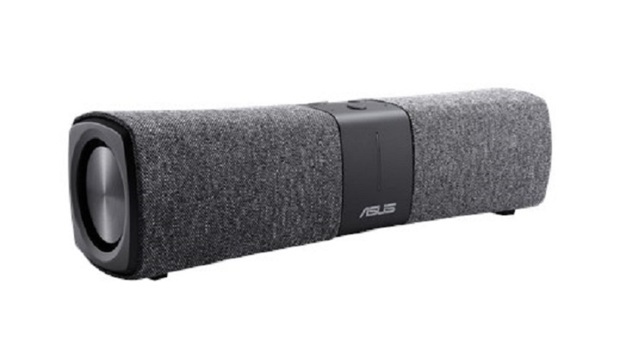 Asus didn’t disclose many details of the new Lyra Voice, though the company announced it at CES. The Voice is a AC2200 Tri-Band mesh Wi-Fi router, with the Alexa assistant built in. Six internal antennas facilitate the transmission of data using the 802.11ac protocol throughout the home. They’re designed to work with the Lyra Trio, another oddly shaped new router that Asus announced. Unfortunately, Asus didn’t disclose pricing or a ship date for either device. “It is not an area of concern for us and for the mobile ecosystem right now,” Amon said.